Saracens have appointed England Under-20 head coach Ian Peel to their staff after reaching an agreement with the Rugby Football Union. The 39-year-old will retain a part-time role as a scrum coach with the England senior squad for the Six Nations. "Ian's track record of developing talent is very impressive," Saracens director of rugby Mark McCall said. "He fits into the club's model of providing opportunities to some of the brightest coaches available." 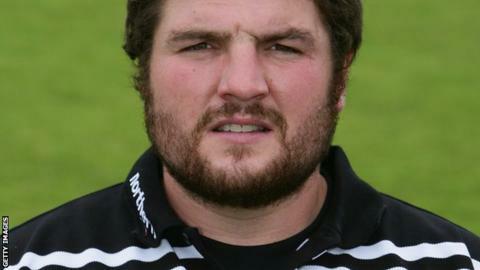 Former prop forward Peel moved into coaching in 2006 after spending eight years with Newcastle as a player, making 122 Premiership appearances. Peel has been involved in the England Under-20 programme since 2013, initially as assistant coach, and helped the side to back-to-back Junior World Championship titles in 2013 and 2014 and the Under-20 Six Nations title in 2015. "This is a huge chance to coach senior players at a quality club that performs at the highest level domestically and in Europe," he said. "I have no doubt it will be a great environment to work in." Peel's move to Saracens comes after Paul Gustard agreed to leave Allianz Park to become part of England's coaching staff under new head coach Eddie Jones.